The Ord-East Kimberley Development Plan is the result of a National Partnership Agreement between the Australian and Western Australian Governments. Total funding in 2009 to 2013 was in excess of $515million. The development plan is an extension of Ord Stage 1, which was established in 1962 and comprises 14,000 hectares of irrigated farmland. The main elements of the Plan are the Ord Final Agreement, the Ord-East Kimberley Expansion Project and the East Kimberley Development Package. The Ord Final Agreement is the native title agreement that enables the Ord-East Kimberley Expansion Project. It was signed in 2005 and includes the establishment of 188,000 hectares of new conservation reserves in six areas. The $195 million East Kimberley Development Package is mostly the Federal Government’s contribution to the Plan. It will be spent on health, education and wellbeing, housing, transport and community support initiatives. It should be noted that the Miriuwung Gajerrong Traditional Owners’ contribution was 65,000 hectares of their native title land in exchange for the Development Package. At its completion, the Ord-East Kimberley Expansion Project will have increased the amount of agricultural land from 14,000 hectares to approximately 29,000 hectares. There has been some discussion between the WA and Northern Territory Governments regarding a further expansion in years to come into the Keep River Plains in the NT. 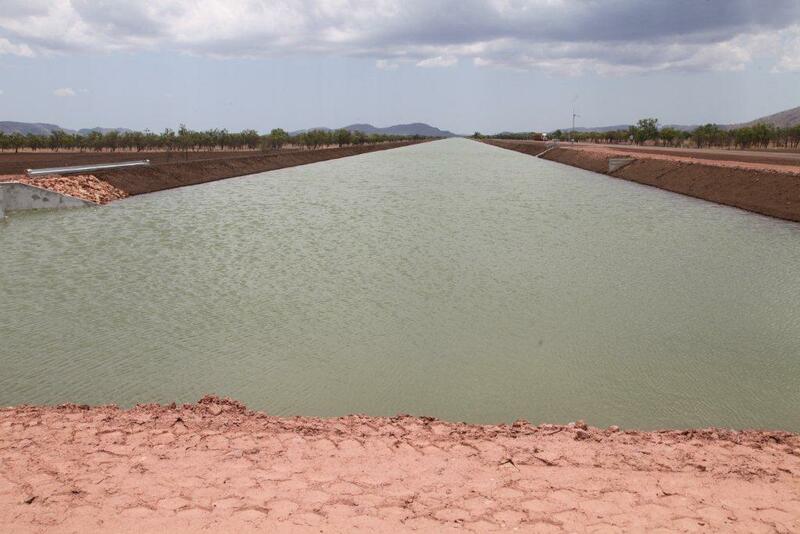 In November 2012, Kimberley Agricultural Investment Pty Ltd (KAI) was announced as the preferred proponent to lease and develop 13,400ha into irrigated farmland under the Ord-East Kimberley Expansion Project. KAI is an Australian company with a parent company in China. KAI aims to grow sugar and develop a sugar refinery. They will also seek to develop ancillary industries such as the production of ethanol, fibre-board and power generation. There seems to be no plans to develop the much-touted ‘food bowl’ for a growing Asian market. Robin was shown around the Ord Expansion area by Director of the project Mr Peter Stubbs in November 2013. It was fascinating to see how much infrastructure had already been installed and rather unnerving to see the amount of clearing and levelling that had occurred in less than a year. Reserves of native vegetation on ridges too steep and rocky to farm was all that was visible, although Robin was assured there were many thousands of hectares being preserved as part of the various agreements. 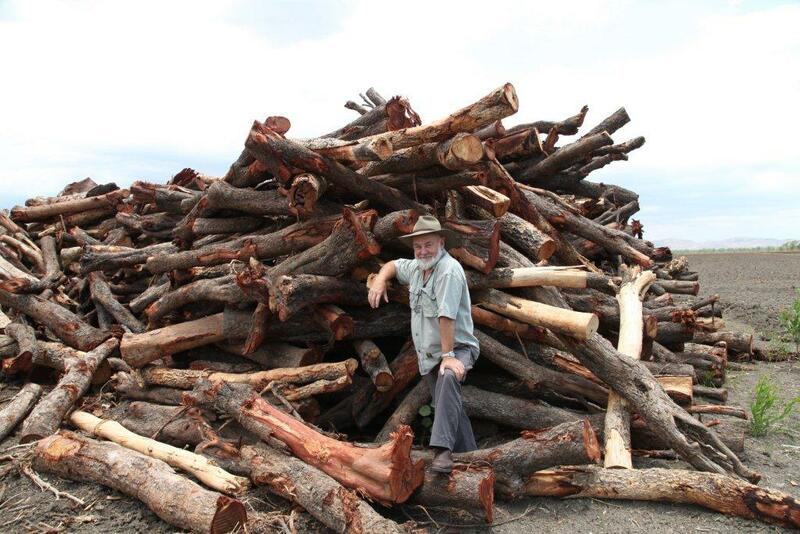 The huge stockpile of timber left in the paddocks after clearing, awaiting shipment to China for crafting into wooden inlay, figurines and other things of beauty were very impressive. This is not something Robin had seen Australian developers do. A matter of concern is the proximity to the irrigation area of KBL Mining’s Sorby Hills silver, lead, zinc and copper mine. This project was mothballed several years ago but now there is renewed interest in extracting the precious metals and plans are under way to transport the ore in sealed containers to the port in Wyndham for export. The trucking route will go from the mine via the Ord Expansion area, along the Great Northern Highway past the Ramsar-listed Parry Lagoon Nature Reserve and through the town of Wyndham. The Environmental Protection Authority has yet to assess the project.